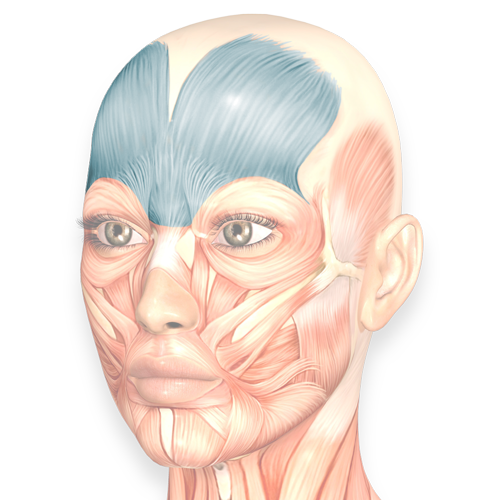 Your facial muscles are waiting to be trained! 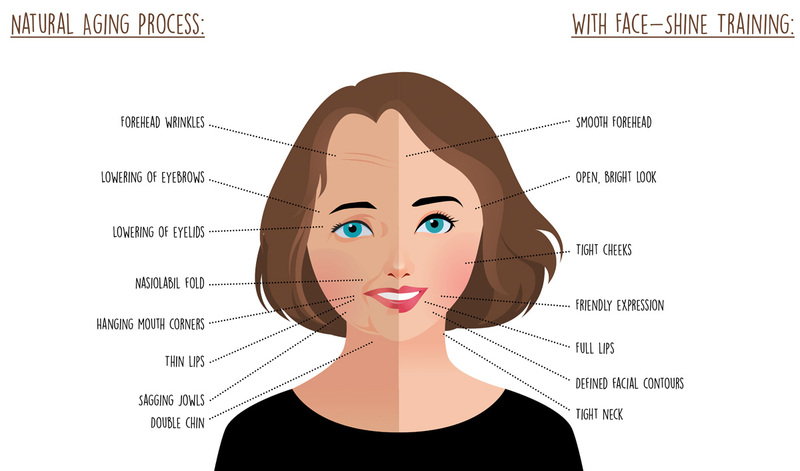 Face-Shine Training is the natural way towards a radiant and youthful look. With the aid of selective exercises we strengthen the subcutaneous muscles and tighten the facial features, thus restoring lost resilience to the face and reducing wrinkles. Our video tutorials will introduce you step by step to the most efficient excercises for unwrinkling your face. Start now with a comprehensive Face-Shine subscription for unlimited access to all videos! Stick with it! Its easy! You think discipline is something others can do better than you? Face-Shine Training makes you the heroine! We’ll help you defeat your weaker self while you concentrate on training! Every exercise brings you a step closer to your goal and motivates you to continue your training! Start Now! One of the most dangerous poisons in the world, Botox gives wrinkles a flaccid, temporary paralysis for about 3 to 6 months – for a price! Face-Shine Training is your long-term anti-aging program and so much more than a healthy alternative to Botox. Taut muscles and a natural facial expression give you a youthful complexion without the need of poisonous injections; just look at the above video. "The videos are very vivid, well explained and nicely produced!" "I really enjoyed your Face Shine workouts! And I soon realized the success. In order to do the exercises correctly, I always put my ipad in front of the mirror." "My friends have told me that I always look so fresh"
"The exercises were very well explained and demonstrated. I also liked the pictures of the specific muscles group for each exercise." "The exercises are entertaining and I can integrate them well into my everyday life." "I was asked if I had anything done by my eyes;)"
Be good to your face! Treat it to Face-Shine Training! It is your way to a naturally firm face and a healthy complexion. Long-term anti-aging without any side effects – and it’s fun, too! Take in your hands and get rid of the wrinkles! …on the wall… – test yourself now!